The philosophy of education in Centers for Spiritual Living is to present Science of Mind as an exciting, contemporary educational model through which learners fully experience the spiritual reality of their being. This model recognizes that all aspects of life are spiritual, as the curriculum infuses the intellectual, emotional, and physical aspects of contemporary living. The educational program of Centers for Spiritual Living offers people of all ages the opportunity to realize the Presence of God, to discover their inherent creative power, and to experience the Presence and Power in their daily lives. Those who "stay the course" form an incredible bond, unified by their dedication to apply spiritual principles to the everyday problems of human life. This is a movement from theory to embodiment. As we study the Science of Mind, we awaken to the dawning of new insights upon our consciousness. Suddenly, the words Life, Principle, Reality, the Law of Mind, Pure Awareness, God and Spiritual Mind Treatment take on a new significance. There is an excitement in working and supporting students in using the Science of Mind and Spirit, to more effectively, promptly, and constructively move through obstacles and ultimately to manifest desired results. 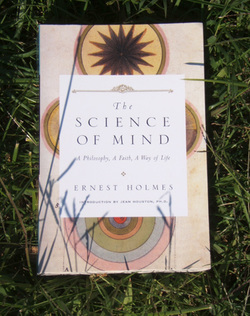 This is the entry-level class in the study of the Science of Mind. You will be introduced to the basics of the Science of Mind, Meditation, Spiritual Mind Treatment, Visioning and other Universal Spiritual Principles and Practices. In addition to reading and writing exercises each week, there are guided meditations and exercises to assist you in applying, embracing and incorporating Science of Mind Principles in your own life.